On the slopes of the Caelian Hill, just a few minutes walk from the Coliseum, there is an imposing fortress-like building: the 1000-year old basilica of Santi Quattro Coronati. The peace and tranquility of another age dwell in this beautiful place. Passing the entrance tower, you are lead into a medieval atmosphere, one of a country ambiance and an unexpected world of silence. The basilica was dedicated to the four – quattro soldiers of emperor Diocletian martyred because they refused to worship pagan gods. The monastery of the nuns that was often used as a refuge for popes escaping conspiracies and as a hospice for important visitors to the papal court during medieval times. The chapel of Saint Sylvester, with its remarkably well-preserved, 750-year-old fresco paintings, has a tremendous narrative appeal. They illustrate stories of Saint Sylvester, a pope in the 300s, and of Constantine, the first Christian emperor who, according to the tradition, entrusted temporal authority over Rome to the pope. When admiring these frescoes it is easy to understand the powerful role images played in making the papal position more alluring. The 13th century cloister and its virtually untouched garden with a rustic fountain are exquisite. 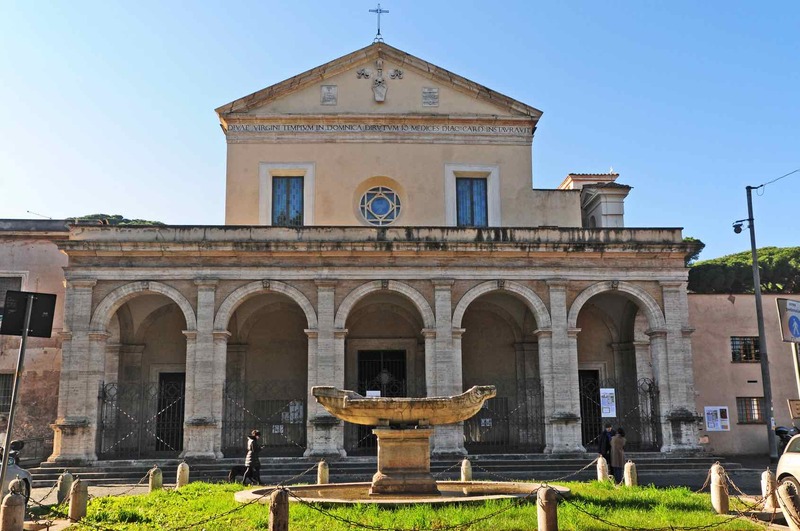 Click here to book a tour that includes Santi Quattro Coronati on your trip to Rome. Not far from Santi Quattro Coronati, we have two incredible apartments: Magnifico and Imperial Vista. Magnifico sleeps three and has two bedrooms and two baths, while the Imperial Vista sleeps five people and has three bedrooms and three baths. 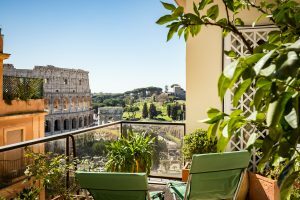 Both apartments boost magnificent views of Rome’s most iconic structure–the Coliseum. 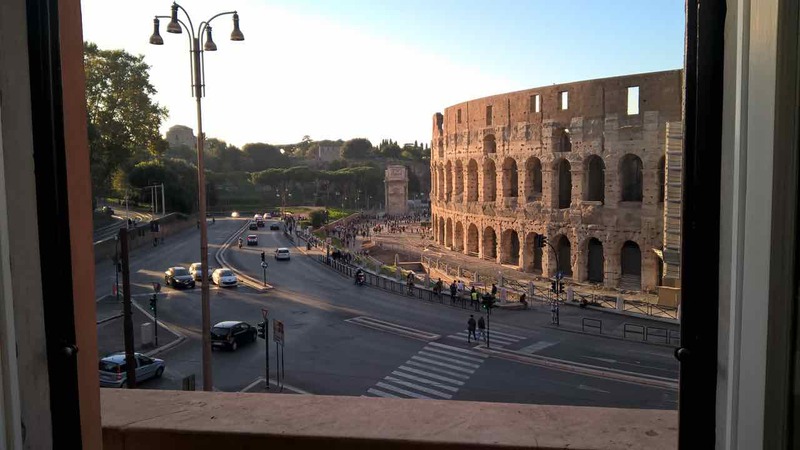 Before your next trip to Rome, make sure to contact Italy Perfect and we can help find the best apartment for your needs. Email us at [email protected] or call toll free in North America at 1-888-308-6123. This article about Santi Quattro Coronati was written by our excellent guide Cristina, whom we highly recommend to our Italy Perfect guests.